Volkswagen AG's Spanish subsidiary Seat will create 700 new jobs at its Martorell plant, near Barcelona, when it starts output of the Q3 SUV for sister brand Audi. Seat and the Catalan government's Department of Business and Employment have signed an agreement to train new workers to build the Q3, the company said in a statement. The agreement will see 1,200 people receive training, leading to the creation of at least 700 new jobs. The workers gradually will be incorporated into the company, beginning later this year. According to the VW Group, the Q3 project guarantees a total of 1,500 jobs at Seat, 700 of those are new posts. 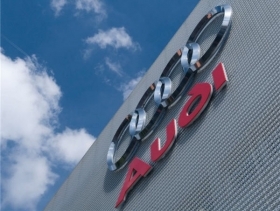 About 300 million euros ($425 million) will be invested in the Martorell plant so that it can reach a capacity of up to 100,000 Q3s a year, Audi says. The Q3 will compete against the BMW X1.